Bronchial cancer, also referred to as bronchial adenoma is a rare type of lung cancer that develops in the ducts and mucous glands of the bronchi, the large central airways of the lungs. While this type of cancer has been associated with smoking, there are other causes including environmental exposure to carcinogens including asbestos fibers at worksites. 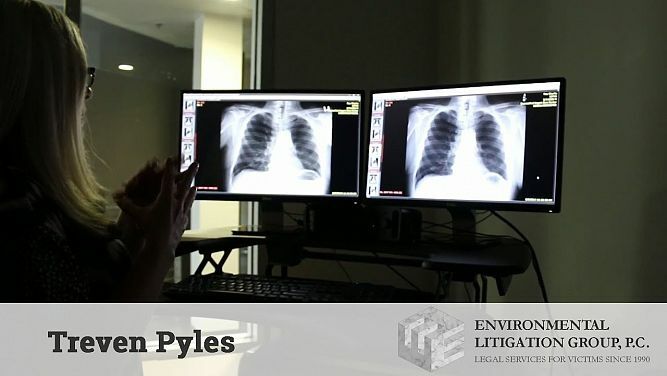 If you or your loved one has been diagnosed with bronchial cancer and have been working around asbestos while on the job, get in touch with our asbestos lawyers to file a claim. My father died of asbestos lung cancer. Asbestos screening is very important for everybody who worked with asbestos. - Beverly C.
I worked with asbestos and eventually I was diagnosed with asbestosis. I am very grateful to ELG, they helped me a lot. - Edward M.
My husband died due to asbestos lung cancer. All who worked with asbestos use the free screening. It can be life-saving. - Lettie M.
I got exposed to asbestos fibers while working in a pipe manufacturing facility. I have asbestosis, a disease with no cure. - John R.
Everybody in my working environment was getting notices to be checked out, I went to and it turned out that I have asbestosis. - Thomas P.
I worked near a place where a lot of back-products coming out of furnaces were dumped. I now suffer from asbestosis. - Stephen D.
I got asbestosis after I was exposed to asbestos while being on a ship, where asbestos dust was falling out of the pipes. - Anthony F.
My husband struggled for years and then died of asbestosis. I think if we had known earlier, he would have had more time. - Susan B.
I was a storekeeper and I dealt with asbestos products. The compensation obtained by ELG was really helpful. - Rayfield C.
My father was a carpenter and dealt with a lot of products made with asbestos. ELG is A++, they care and work hard for you. - Veronica C.
At least 13-29% of lung cancer cases that are reported in men have been related to exposure on the job to harmful chemicals including asbestos. Most bronchogenic cancer cases, around 80% are non-small cell type and about 15% are small-cell type of lung cancer. Industrial application of asbestos increased a thousand times in the past century and is considered the mineral of the 20th century. Due to the long latency period that may vary from 20-50 years, asbestos-related bronchial cancer is one of the leading causes of cancer-related death at the present time. People with occupations that involve mining and processing of naturally occurring asbestos, production of asbestos-containing products, and installation of asbestos insulation or even renovation of older buildings are surrounded by dust made up of tiny asbestos fibers, which they inhale on a daily basis for several years. Once the asbestos fibers gain entry into the respiratory tract, these get embedded into the airways of the lungs quite easily. Moreover, our body is incapable of getting rid of these tiny fibers and eventually, a large amount of deadly asbestos fibers becomes entrapped in the lungs. This leads to a gradual inflammatory process, scarring, and malignant transformation of lung tissues over the years. Sometimes, there could be delays or even misdiagnosis of bronchial cancer as the signs and symptoms caused by these tumors are nonspecific and quite similar to the symptoms of asthma. Additionally, the X-rays of the chest are unremarkable at initial stages. Most commonly, the cancer of the bronchus is clinically significant due to obstruction of the airways; but it tends to mimic symptoms of asthma, pulmonary infection, and chronic obstructive pulmonary disease (COPD). When bronchial cancer does not cause airway obstruction, there may not be any symptoms at all. Most studies report that 25% of patients with bronchial tumors are asymptomatic, and a result, these tumors are found incidentally. Therefore, the initial stages of bronchial cancer are more likely to be wrongly diagnosed. If you have been exposed to asbestos at your workplace in the past, it is important to closely monitor your health and consult your doctor if you note any changes. Do mention your history of asbestos exposure to your doctor as it will help to derive a more accurate diagnosis. Additionally, once you receive a diagnosis from your doctor, we strongly recommend seeking a second opinion from a specialist in asbestos-related diseases. This will help you avoid misdiagnosis and inappropriate treatment. 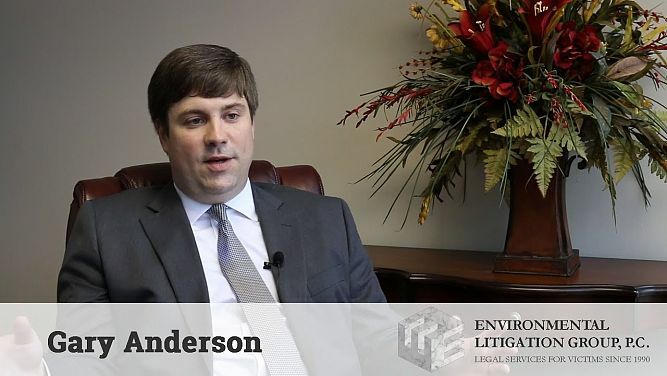 Asbestos-caused bronchial cancer cases have been associated with occupational asbestos exposure and our attorneys are well-versed at handling such cases. If you or your family member has been diagnosed with bronchial cancer, we strongly recommend getting in touch with our specialized attorneys as early as you receive a definitive diagnosis. It is also important to file your asbestos claim within the statute of limitations period, which varies between 1 and 3 years and depends on the state you reside in. The family members of people who were working around asbestos during the past century are most likely to be exposed to the carcinogenic asbestos fibers, and this type of indirect exposure is referred to as secondary asbestos exposure. This was quite widespread as exposure to asbestos occurred unknowingly while laundering asbestos-laden clothes that were worn to work or while greeting a person wearing asbestos-laden clothes on returning home. Secondary asbestos exposure accounts for 10% of patients with asbestos-related diseases who have never been working with asbestos directly. However, most of these patients did have a family member who was involved in handling asbestos at the workplace. Therefore, if you have been diagnosed with bronchial cancer and have a family member who worked with asbestos, there are high chances that you are a victim of secondary asbestos exposure for which you can claim financial compensation from asbestos trust funds. Our attorneys will help you pursue the claim and obtain maximum compensation. Often, the victims of asbestos exposure suffering from bronchial cancer tend to either refuse or postpone legal action during their lifetime due to factors such as poor health or misconception about the legal process that it will be tedious and unmanageable. If you have lost a family member who had been diagnosed with bronchial cancer caused by asbestos exposure at work but had not taken legal action before passing away, you can claim financial compensation on their behalf. It is important to file a claim within the statute of limitations period that is 3 years from the time your family member was diagnosed with bronchial cancer. Our attorneys will promptly help you file a claim with one or more asbestos trust funds and all you need to help us with is your family member’s death certificate, medical records, and employment records. Our standard fee is 40% and we work on a contingency fee basis. That means we only receive payment once we have successfully recovered compensation for you. If we are not able to collect settlements or claims for you, no expenses will come out of your pocket. How Do Our Attorneys Handle Bronchial Cancer Cases? After we receive the required documents including employment records and medical documents that confirm your diagnosis and exposure to asbestos, we will evaluate your case and collect additional information needed for your claim. We will submit your claim to one or more asbestos trust funds with supporting documents. The resolution of the claim may take about 3-6 months after which we will be able to communicate to you about the compensation each asbestos trust fund is liable to pay you. You will be receiving financial compensation on a monthly basis from the asbestos trust fund that approved your claim. Most bronchogenic cancer cases, around 80% are non-small cell type and about 15% are small-cell type.